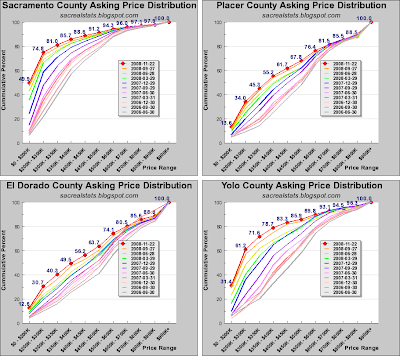 Mas - I find your 4 county inventory count interesting in that it looks somewhat similar to my area (northern virginia). 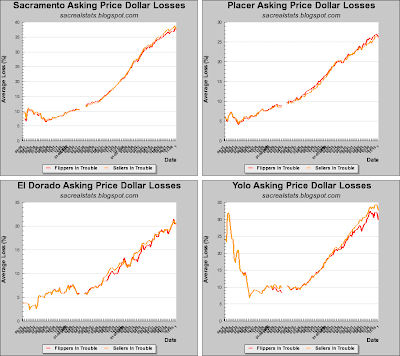 I have a question for you - you show the last 3 years which is the bubble unwinding itself. However, do you happen to know where the inventory SHOULD be? 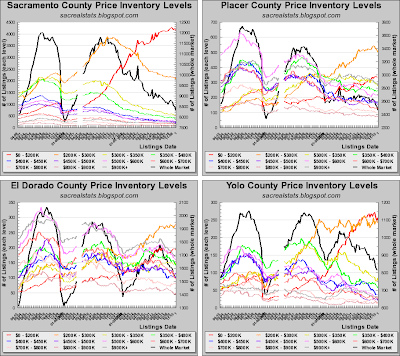 Put another way, if the bubble never happened, what would the typical inventory level be in your 4 county area? 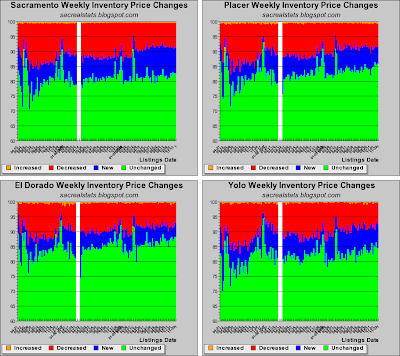 Equilibrium is 6 months inventory. 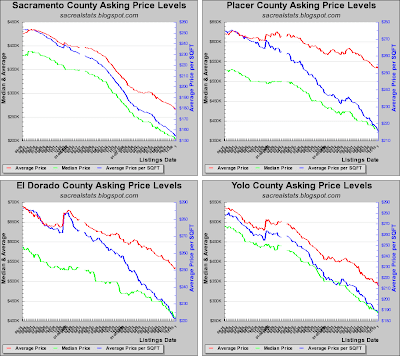 Sac county is about 7.5 including REO, short sales and normal listings. 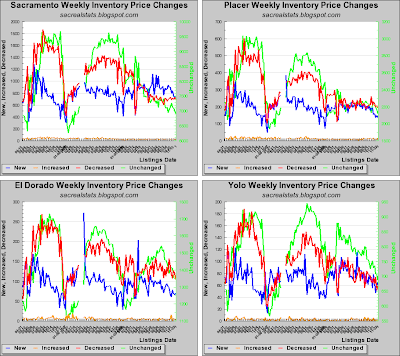 If inventory dropped about 20% we would be at equilibrium, but most likely, by spring, sales could recover 20% and do the same effect as sales are still down over 50% from peak years. REO inventory is actually less than 2 months and not being replenished. Most of the non selling inventory is listed as short sale, which takes special skills and patience to close the deal, often 90-150 days. 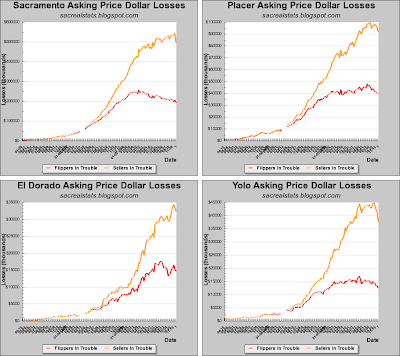 Considering the actions of the past 30-60 days killed off the $500K plus market, it should recover by January. If those numbers are so down then why do the banks have record #s of REOs on their webpages? CW has an embarrassment of REOs they need to unload. At the peak, the highest the CA section went was 56 pages. Now it's at 80. Sippn - thanks for the but in, but your comment is about months of inventory which is a slightly different concept. 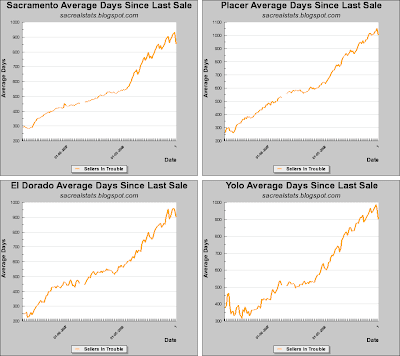 What I am curious about is the total number of sellers that makes up a normal market. 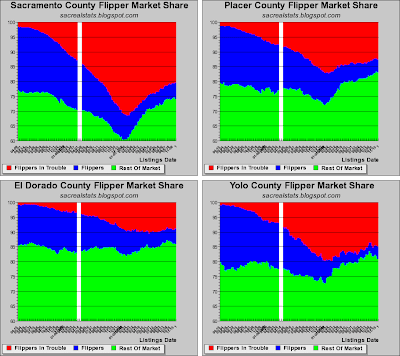 For example, in summer 2006, SAC had 19K sellers. Now it has 13K sellers. 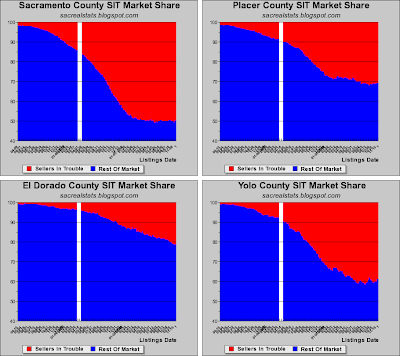 What is normal for SAC? Is it 7K sellers in the winter and 9K in the summer? Or is it more like 14K in the winter and 16K in the summer? 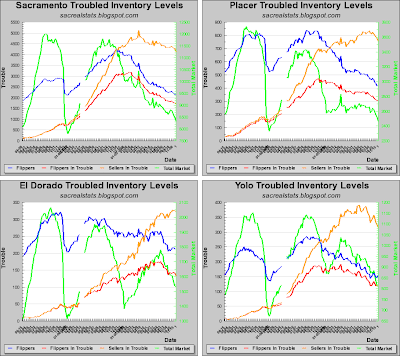 Its an interesting question - because what if normal was like 7K inventory. 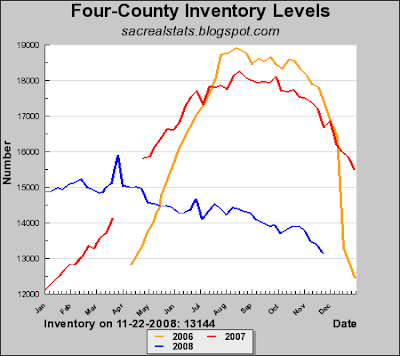 If so, despite the huge decline in total inventory, it would suggest SAC has a long way to go. However if 14K was normal, it wouldnt be unreasonable to assume that it would rise again next summer. Also, please dont respond about phantom inventory. I know about it, I believe in it. My question is about stated total inventory amounts - any guesses? I don't think anybody knows. The government interventions are still having a huge impact, and banks and debtors are anticipating even more bailouts in the near future. The government is slowly but surely taking over the entire financial system. As this process unfolds, all near to mid-term predictions are pure guesses. Yea. I hadn't really thought about it until I read it today - within a year the entire financial system will likely be nationalized, including all of the major banks/lenders. At this rate, that seems accurate.